to ( 3' x 5' ). 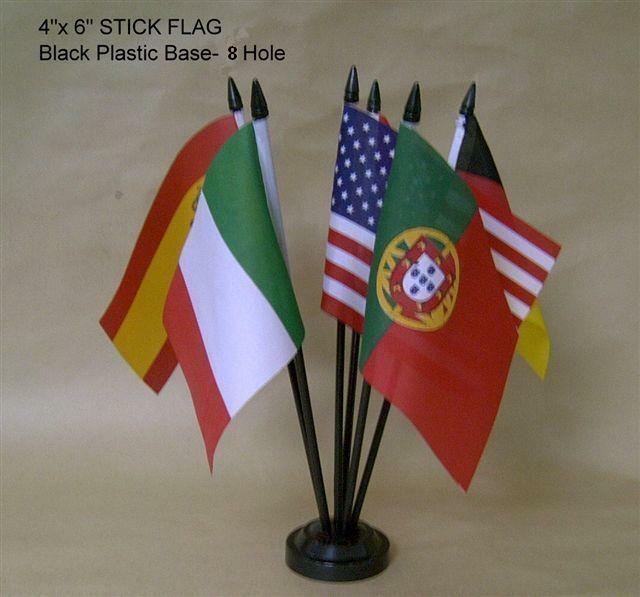 The smaller flags are great for desk tops, classrooms, rallies, parades, and other special events, while all sizes are for indoor and outdoor use. ** ( To order flags in any size individually see: ) " Individual Country Flags" " Country String Pennants"
* excludes poles, bases or brackets ! ITEM NO: #A1A- Span- 12" X 18"
ITEM NO: #A1A-Span- 4" X 6"